There was a time when the exhaust industry was mostly concerned with reducing noise but these days emissions have become paramount. The growing complexity of exhaust aftertreatment technology can give the exhaust industry headaches, especially in the age of globalized supply chains and OEM customers which require exhaust systems with a short lead time. Many different components related to emissions go into a modern exhaust system, and each has to be sourced, correctly specified and checked for quality. The reliability and integrity of suppliers also has to be ascertained, and in many cases it is useful to have a backup supplier in case of problems. Expensive tooling is often required, so finding a supplier which already has this, or sharing it with another customer, can save a lot of money. Where components are sourced in China, savings can be made by amalgamating orders from several customers. 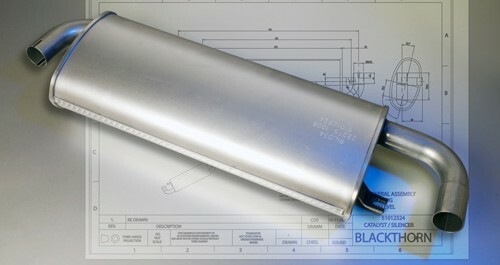 Blackthorn has been sourcing exhaust aftertreatment components for more than 20 years. We understand the technology and maintain contacts with suppliers around the World, meaning that we can be a useful part of the supply chain for other companies in the exhaust industry.